If you are starting to feel the pinch in the buy-to-let market and have concerns ahead of the proposed changes to lending affordability and additional tax changes due in 2017, now could be the time to consider limited company buy-to-lets. Setting up your buy-to-let (BTL) investment in a limited company allows you to benefit from advantageous tax rates that can be lower than high-rate income tax, and Capital Gains Tax (CGT) rates, which could apply if a property is held in your personal name. Those who hold property in limited companies will also be unaffected by tax relief changes coming into force in 2017. 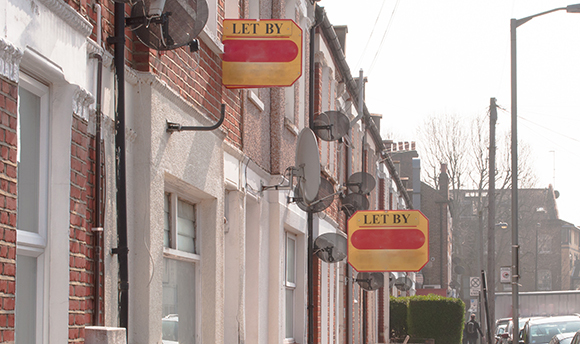 This means buy-to-let lenders may offer more flexible lending criteria to such landlords. Whether you’re an established BTL investor or just starting out and considering investing through a limited company, it’s important that you seek tax, legal and mortgage advice from the outset. This knowledge will help you understand the potential advantages and disadvantages associated with company ownership, as well as the additional responsibilities you’ll be taking on. The decision whether a company should be used to hold property will essentially depend on your future intentions. As with any financial decision, suitability is dependent on a number of individual factors – from your goals, financial situation, current rates and the availability of mortgage finance to Limited Companies. There are many things to think about if you’re looking to move from personal name to limited company and many possible advantages and disadvantages that you’ll need to consider. Book a free appointment with your local TaxAssist Accountant today on 0800 0523 555 or contact us online here. Higher tax relief – From 2017-2020, the amount of BTL tax relief individual landlords will be able to claim back will be progressively cut from a maximum of 45% to 20% for top rate taxpayers. This change does not affect limited companies though, so if you are a top rate tax payer, the amount of tax you’ll pay via a limited company will be lower than tax on your individual income. No income tax when reinvesting profits to secure further properties – You could grow your BTL portfolio quicker within a limited company because you won’t be paying income tax on the profits you choose to keep in the company. Although corporation tax is payable on trading profits, this is lower than the higher income tax rate. Personal funds can be drawn back out of the company – Any advances you make to your limited company, e.g. the mortgage deposit, can be drawn back out of the company by way of a director’s loan, which is a tax efficient way of withdrawing the money. No Capital Gains Tax allowance when you sell a property – Bear in mind that individuals selling a property are eligible for a £11,100 CGT allowance (2015/16). Additional cost of running a limited company – These include the preparation of accounts, company tax and corporation tax calculations for HM Revenue & Customs, filing at Companies House, legal fees, and annual auditing if applicable. Your accountant may also charge higher fees when preparing the accounts for a limited company. Higher mortgage rates – Most lenders charge higher interest rates and fees for BTL mortgages to a limited company, particularly as the company itself is normally newly formed and therefore has no credit history. This could change if competition increases in the market. Reduced choice of lenders and mortgages – Many lenders do not offer mortgages to limited companies and often, if they do, their product range is much smaller. If you don’t yet own any BTL properties, it’s simpler to start the process with a limited company than if you’re an investor transferring existing property. However, before deciding to proceed, you should seek independent advice from tax, legal and mortgage specialists. If you are transferring property from your personal name to a limited company, you are likely to be liable for CGT and Stamp Duty Land Tax (SDLT) on the transfer, so it’s important to understand if the overall benefits outweigh the costs. To better inform your decision, ensure you speak to an accountant or tax advisor before undertaking this type of transfer. You should outline what your ambitions are as what you plan to do with your BTL investment will have an impact on your decision. Do you want to downsize or grow your portfolio? If it’s the latter, then doing so via a limited company structure – if you’re willing to pay these one-off costs – could possibly be worth it in the long run.